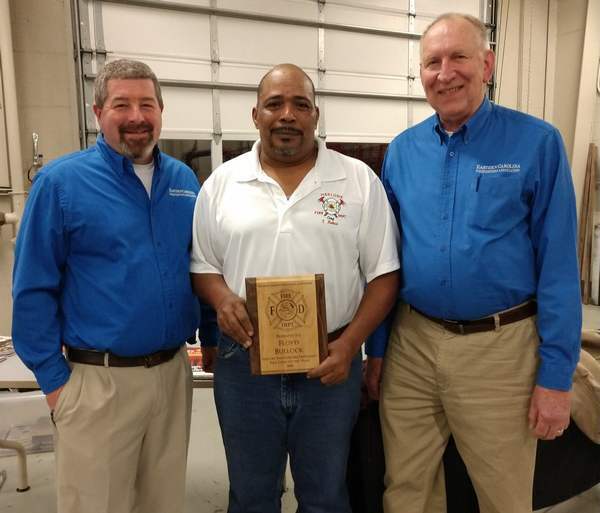 During the quarterly meeting of the ECFA, Fire Chief Floyd Bullock was presented the Eastern Carolina Firefighters Association Fire Chief of the Year award. Chief Bullock leads the Harlowe Volunteer Fire Department in Craven County. Chief Bullock was nominated by his department because of his hard work and dedication to the department, but most importantly to his community. A veteran of the United States Marines, Bullock joined the fire department while still in active service at MCAS Cherry Point. During his tenure at the department, he has been instrumental in life safety initiatives such as smoke detector programs, adult and child fire safety classes, an annual Open House event and even plans review in coordination with local officials. Department members also credit Bullock with increased morale and membership, as well as fostering solid relationships with surrounding agencies. 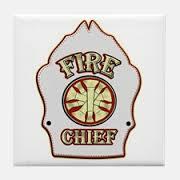 In early 2018, he was selected as the Fire Chief of the Year by the Craven County Fireman’s Association. As the ECFA winner, Chief Bullock will also be a candidate for the North Carolina Association of Fire Chiefs annual Fire Chief of the Year award, which will be announced at the Mid-Winter conference in Concord. Thank you Chief Bullock for all you do for your community and your service to our country! Several members of Harlowe VFD were on hand to see their Chief receive the ECFA Chief of the Year award at the meeting in Havelock.